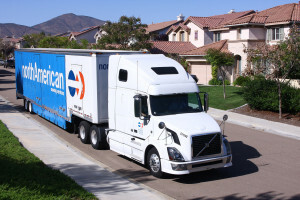 Capitol North American has been recognized by our customers as the premier local moving company in Las Vegas. We gained that reputation because of our professionalism and dedication to customer satisfaction, and we work hard to ensure that our customers are not only confident when they make the choice in choosing Capitol for their move that they have made the right one, but that we provide them with a service of such quality and value that they will not only use us in the future should they ever need a move performed again, but also that they would be confident and happy to recommend our services to their friends and family. Please visit our Estimate page to get a general idea of rates for different sized local moves.